Wat is dit voor site? Wij zoeken de goedkoopste boeken op internet. Feng Shui Homevonden we het goedkoopst op Bol.com voor €14.49. We hebben gezocht in nieuwe en tweedehands boeken. Rechtsonderaan de pagina kan je het boek direct bestellen	via Bol	.com. This title helps you in creating spiritual spaces in your environment with altars and shrines, space clearing and the ancient Chinese art of Feng Shui. You can transform your living space with the ancient principles of Feng Shui and space clearing, and enhance the harmony of your house. It offers advice on every level, from how to position the furniture and what shades to paint the walls, to clearing psychic clutter with placement of mirrors and lights. You can learn to sense negative energy, move it on or disperse it, and replace it with positive forces that nurture and support you and your family. You can be inspired by 650 photographs, charts and diagrams showing how to apply the art of Feng Shui, perform space clearings, and create your own personal altars and shrines. It is an insightful and practical guide to transforming a home into a spiritual sanctuary. A home should be a peaceful oasis, providing a calm refuge from stress and tension. This unique book is full of inspirational ideas, practical advice, beautiful photographs and helpful hints and tips to make every home a spiritual place. 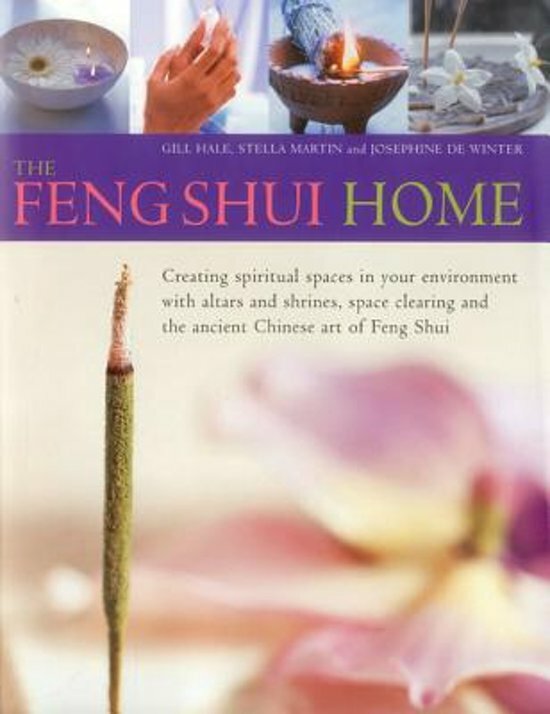 The book begins with an in-depth look at the philosophy and application of Feng Shui. The second section of the book covers the art of space clearing, and the third section shows you how you can nurture the emotional aspect of your home with personal altars and shrines. With 650 photographs and illustrations, this book offers ways to bring a sacred element into your living space and into your life.